Mickey’s Not So Scary Halloween Party (MNSSHP) is a special ticketed event at the Magic Kingdom where people get dressed up in costume and attend special Halloween-themed activities that are only offered at the party. If you decide to attend a party during your visit, you will need to decide when to buy your tickets. But just how far in advance should you buy your tickets for Mickey's Not So Scary Halloween Party? This decision of when you should buy your ticket is based on a few different factors. One of the first things to consider is what date you plan to attend. If you plan to attend a party any of those times, it’s best to buy your tickets as soon as possible. Friday night dates tend to be the most popular (because lots of locals will attend those parties) while Tuesdays typically are the least crowded. Buying tickets in advanced for the parties (except the one on Halloween night) provides a slight discount over purchasing tickets on the day of the event. Want a good idea which parties Disney thinks will be popular? Look at the price of the ticket. The higher the ticket price, the more demand Disney thinks there will be for that party. The first party of the year is more likely to sell out than other August and September parties because it is the first opportunity for people to get in and experience the event. The remainder of parties in August, September, and early October usually do not sell out. As Halloween approaches though, parties do get busier and have a higher likelihood of selling out. 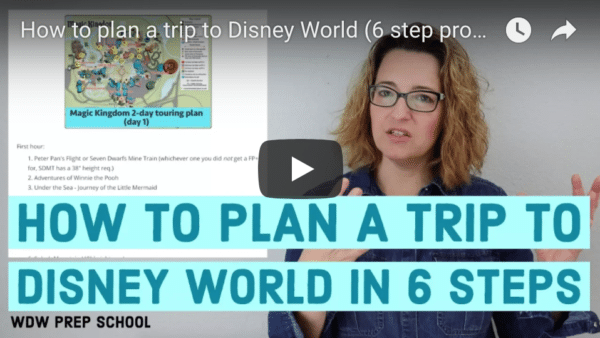 Since tickets to the party are non-refundable, it may be a better option to wait until you are at Disney World to buy tickets to ensure that you still want to attend the party. This is especially true for weather-related issues. The Halloween parties occur during hurricane season so there is a chance that it could be pouring on the night of the party you plan to attend. If you haven’t purchased tickets before you go, you may decide that it is better to just spend some time at the resorts instead of paying to attend a party in the rain. While the party itself will not be cancelled due to rain or inclement weather, there is a chance that certain activities will. Ultimately, if you want to guarantee you have tickets to the party you want to attend, you should purchase them as soon as possible. If, however, you don't have your heart set on a party or you'd rather wait to see what the weather looks like, we recommend holding off buying them until the date gets closer. You can find more information and purchase tickets by visiting the official Walt Disney World website or by calling 407-WDISNEY. 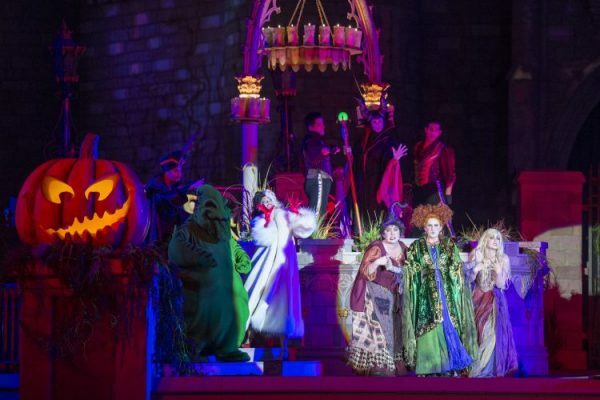 Planning to attend a Mickey’s Not So Scary Halloween Party? 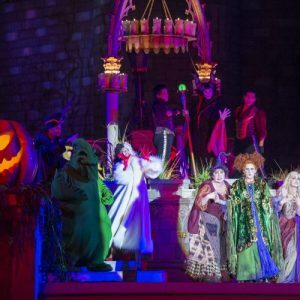 Check out our complete Guide to Mickey’s Not So Scary Halloween Party.